On June 22, 1891, Hungarian-American psychoanalyst and physician Franz Alexander was born. Alexander is considered one of the founders of psychosomatic medicine and psychoanalytic criminology. He was a leader in identifying emotional tension as a significant cause of physical illness. 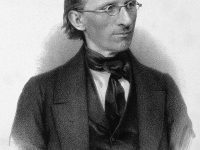 Franz Gabriel Alexander, in Hungarian Alexander Ferenc Gábor, was born in Budapest, Austria-Hungary, to his father was Bernhard Alexander, a philosopher and literary critic. Alexander studied in Berlin. 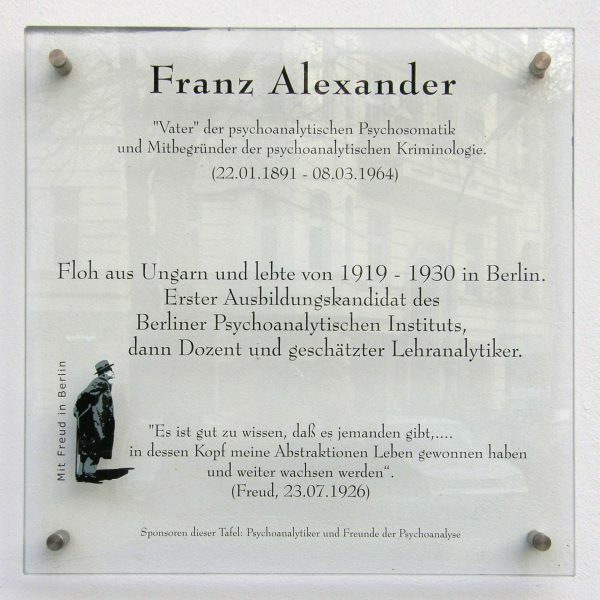 Already a physician, he defied his intellectual father and went to Berlin enroll as the first student at the Berlin Psychoanalytic Institute in 1919 to become was part of an influential group of German analysts mentored by Karl Abraham, including Karen Horney and Helene Deutsch, and gathered around the Berlin Psychoanalytic Institute . In the early 1920s, Oliver Freud was in analysis with Franz Alexander there — Sigmund Freud’s son — while Charles Odier, one of the first among French psychoanalysts, was analysed in Berlin by Franz Alexander as well. Alexander was a prolific writer. He became an assistant there and delivered a lecture series (1924–25) that grew into his first book, Psychoanalyse der Gesamtpersönlichkeit (1927; The Psychoanalysis of the Total Personality, 1930), a work developing the psychoanalytic theory of the superego and praised by Sigmund Freud. 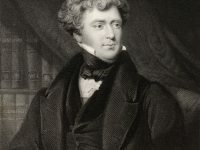 He also explored the morality demanded by the archaic superego, an automatized pseudo morality, characterized by Alexander as the corruptibility of the superego. Notable too was his exploration of acting out in real life, in which the patient’s entire life consists of actions not adapted to reality but rather aimed at relieving unconscious tensions. It was this type of neurosis that was first described by Alexander under the name of neurotic character. His success in applying psychoanalytic principles to the study and diagnosis of criminal personalities brought him an invitation in 1930 to the U.S. by Robert Hutchins, then President of the University of Chicago, to become its Visiting Professor of Psychoanalysis. On advice of Siegmund Freud, who told Alexander to go to America, which Freud hated, and spread the gospel of psychoanalysis. A year later, however, he went to Boston to collaborate with William Healy on a psychoanalytic study of delinquency, resulting in their book Roots of Crime (1935). Alexander returned to Chicago in 1932 to establish the Chicago Institute for Psychoanalysis, which he directed until 1956. From 1938 to 1956, Alexander also served on the faculty of the department of psychiatry at the University of Illinois Medical School, Chicago. Sigmund Freud pursued a deep interest in psychosomatic illnesses following his correspondence with Georg Groddeck who was, at the time, researching the possibility of treating physical disorders through psychological processes. Together with Freud and Sándor Ferenczi, Alexander developed the concept of autoplastic adaptation. They proposed that when an individual was presented with a stressful situation, he could react in one of two ways. Either by autoplastic adaptation, meaning the subject tries to change himself, i.e. the internal environment, or by alloplastic adaptation, where the subject tries to change the situation, i.e. the external environment. From the 1930s through the 1950s, numerous analysts were engaged with the question of how to shorten the course of therapy but still achieve therapeutic effectiveness. Alexander found that the patients who tended to benefit the most greatly from therapy were those who could rapidly engage, could describe a specific therapeutic focus, and could quickly move to an experience of their previously warded-off feelings. These also happened to represent those patients who were the healthiest to begin with and therefore had the least need for the therapy being offered. Clinical research revealed that these patients were able to benefit because they were the least resistant. They were the least resistant because they were the least traumatised and therefore had the smallest burden of repressed emotion. 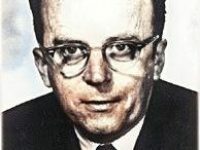 In 1956 Alexander embarked on a new research program in psychotherapy and psychosomatic medicine at Mount Sinai Hospital, Los Angeles, where in cooperation with the University of Southern California and the Southern California Psychoanalytic Institute, he explored the effect of the therapist’s personality in the treatment process. Alexander was awarded, among others, the Samuel Ruben award for his contribution to public health in 1958, and in his early period, with a prize for his study of the complex of castration, which gave Sigmund Freud. Franz Alexander died in Palm Springs, California in 1964. At yovisto Academic Search engine, Dr. Paul Bloom of Yale University in his 2007 course on ‘Introduction to Psychology’ introduces the students to the theories of Sigmund Freud, including a brief biographical description and his contributions to the field of psychology. The limitations of his theories of psychoanalysis are covered in detail, as well as the ways in which his conception of the unconscious mind still operate in mainstream psychology today. Rachel Shteir: Bad Freudian Fathers, The New Yorker, Nov 6, 2015. Franz Alexander, The corrective emotional experience (1946), Psicoterapia e Scienze Umane, 1993, XXVII, 2: 85-101. Karen Horney’s Struggle with Neurosis, SciHi Blog, Dec 4, 2014.